Joywind and Robert have been on the ’trail’ in one form or other for about 25 years. 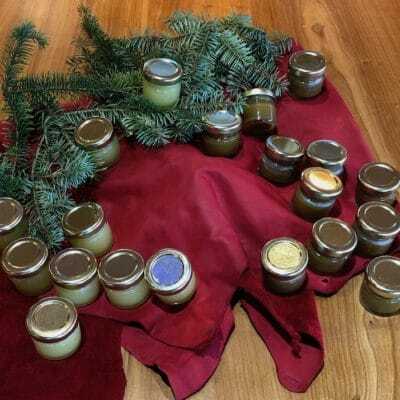 We cherish our traditional medicines. We believe in gathering, harvesting, preserving and sharing. We have chosen to eat almost 100% organic or wild foods. 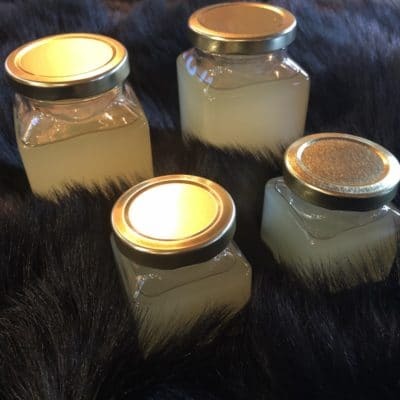 We share these traditional medicines carefully. Medicines are very important to the people and aren’t always accessible in the moments when we need them. 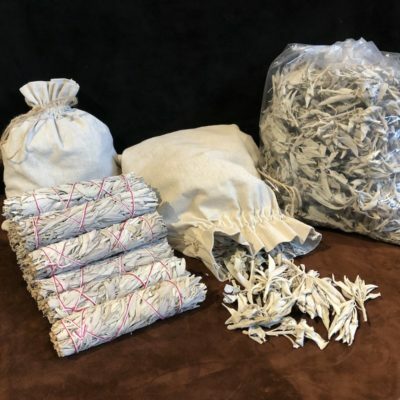 In fact ailments generally don’t happen when we are prepared to cure them….Also more of the Indigenous community live in urban environments and aren’t always able to gather all the medicines themselves. But that doesn’t mean they are not allowed to have them….Harvested with respect and honour…the medicines belong to all the people and one of the things we do is share them. 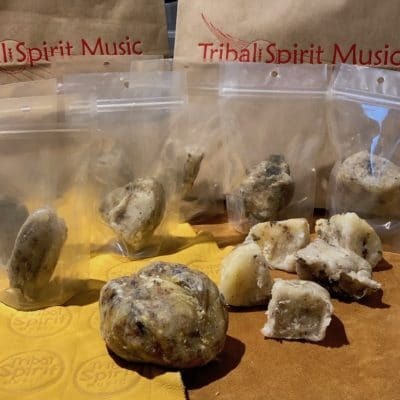 Tribal Spirit carefully source or trade with people who have the heart and care to carry the medicines and we honour the effort and work it requires to maintain the traditional medicines. 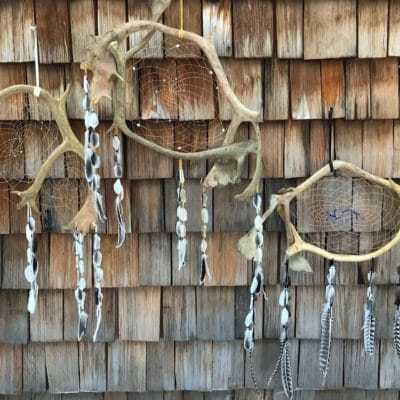 Introducing our custom one-of-a-kind Caribou Antler Dreamcatchers. Everyone on the Powwow Trail knows that Joywind makes the most beautiful Dreamcatchers. But throw some Caribou Antlers into the mix and magic happens. These are Caribou shed antlers from northern Quebec. Feathers are a combination of Snow Goose and Wild Turkey. Beads are glass and semi-precious stone. 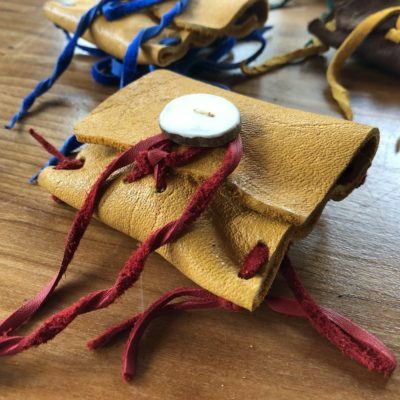 Our new Moose Leather Medicine Pouches are all one of a kind measuring 2” x 3” approx. 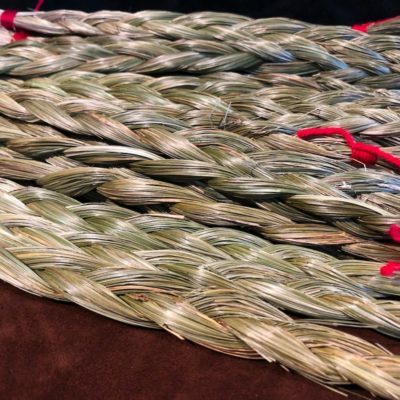 Which we fill with the traditional medicines of the four directions; Sage, Sweetgrass, Cedar and Tobacco. They can be worn around the neck or ties to a belt loop.